Day 4 of the Heapnose perfume diary. 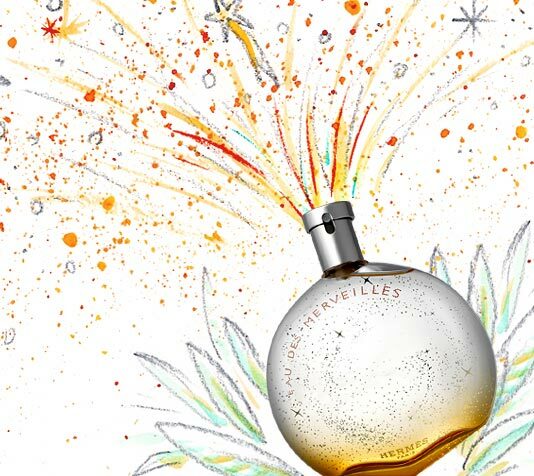 Today I’m wearing Eau Des Merveilles by Hermes. Traditionally, I’ve never been a fan of this perfume. I’ve always thought it smelled like a really nice men’s fragrance…that’s been dunked in chip fat and seasoned with pepper. Plus, as far as the “Can I pronounce its name without sounding like a knobhead” part of the test goes, it’s an Epic Fail. Epic. What old Hermes no doubt thought was a stylistic flourish is bordering on a social handicap. If I thought you cared I would tell you that Eau Des Merveilles is first in a family of three Merveilles releases -the second and third being Parfum and Elixir Des Merveilles, respectively. But I don’t really care, and I doubt that you do, so let’s get to the good stuff. THE BOTTLE DOUBLES AS A MAGNIFYING GLASS. Jonesy and I are going to have a riot with this one in the office today… I hope there’s some sort of magnifying glass emergency which calls for me to whip out my trusty bottle of Hermes. I only have three days remaining on my contract and truth be told I’ve been looking for ways to make myself indispensable. Starting rumours that my co-workers steal things has not proven fruitful so far (and in fact has somewhat diminished my popularity in the office) so this might be just the tool I need to win favour with my producer. See I was right about the pepper…And the “salty undercurrent” might account for my chip fat theory. Time to ask Sion the Amiable Translator if he can detect the inky note at the heart of the composition. If he’s thinking in colours today, we may strike gold. Today, it appears, he is thinking in foliage, food and family. Rachel in the office reckons it’s too spicy, Anne thinks it’s lovely but a bit like her Great Aunt’s bathroom, and Jonesy is too busy marveling at the magnifying glass to care too much about the perfume. I’ve been wearing it for three hours now and as the scent settles it does get more palatable. But on the whole, my feeling is that liking this perfume requires far more time and effort than not liking it. Plus I sound like a knobhead everytime I try and say its name. When a perfume’s main selling point is its bottle, you’re on dodgy ground – so, I reckon, sod it and on with the next.